These images were taken on August 24, 2016 at an aerobatics event hosted by the incredible members of the Team Oracle aerobatic flight team for the benefit of Thomson Reuters employees. 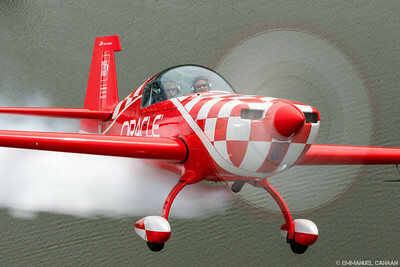 Sean D. Tucker and Chris Rudd of Team Oracle, fly low over the land of 10,000 lakes during an event in conjunction with Thomson Reuters. 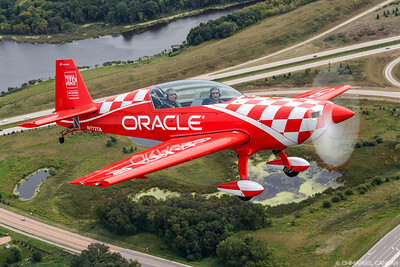 Sean D. Tucker and Chris Rudd explore the Minnesota landscape while giving rides to Oracle customers. 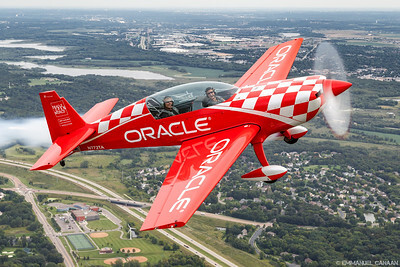 Sean D. Tucker flies serenely over the Minnesota countryside while giving a ride to an Oracle customer. 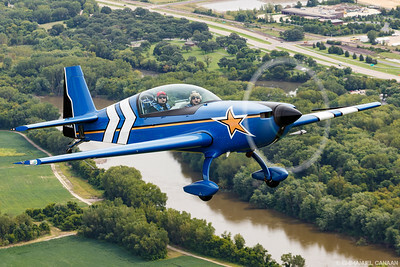 Sean D. Tucker treats a lucky Oracle customer to the ride of her life over southern Minnesota. Sean D. Tucker and Chris Rudd leave smoke trails across the Minnesota sky as they create happy memories for their lucky riders. Photographers from Thomson Reuters smile from Team Oracle's Piper Seneca before a photo flight over Minnesota. Chris Rudd, of Team Oracle, focuses intently on our photo ship while in tight formation. He is seen here on takeoff from Flying Cloud airport in Eden Prairie, Minnesota with an Oracle customer. 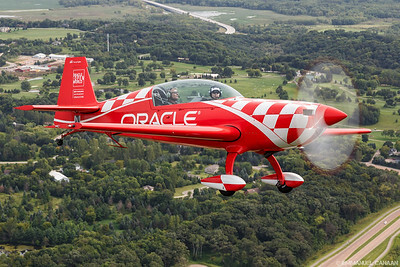 Chris Rudd, of Team Oracle, provides an Oracle customer with a ride as they cruise over Eden Prairie, Minnesota. Chris Rudd, of Team Oracle, cooks up a fresh batch of joy as he entertains an Oracle customer in the skies over Shakopee, Minnesota. Chris Rudd, of Team Oracle, takes an Oracle customer down low through the valleys of southern Minnesota. Chris Rudd, of Team Oracle, takes an Oracle customer on a cruise down the Minnesota River. Chris Rudd, of Team Oracle, gives a thumbs up with his Oracle customer as they enjoy his office in the sky. 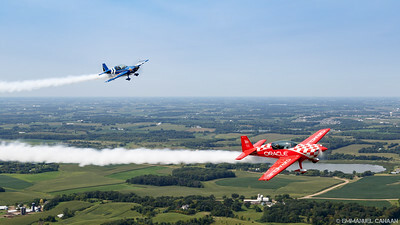 Chris Rudd, of Team Oracle, breaks formation with our photo ship as he takes his rider for an aerobatic thrill ride over southern Minnesota. Sean D. Tucker takes a lucky passenger on the flight of her life as they pass over hole #5 of the Bearpath Golf and Country Club in Eden Prairie, Minnesota. An lucky rider seemingly exclaims, "Look ma, no hands," as Sean D. Tucker takes her on the thrill ride of her life over Eden Prairie, Minnesota. Sean D. Tucker's lucky passenger is all smiles as they pass over one of Minnesota's 10,000 lakes. 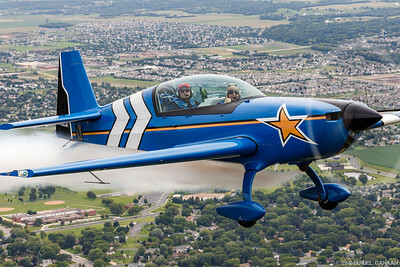 Sean D. Tucker and a lucky passenger have some fun in the skies over suburban Minnesota, south of Minneapolis. Sean D. Tucker's performance is clearly being seen as a hole-in-one by the expression on his passenger's face as they cruise low over a local golf course near Eden Prairie, Minnesota. 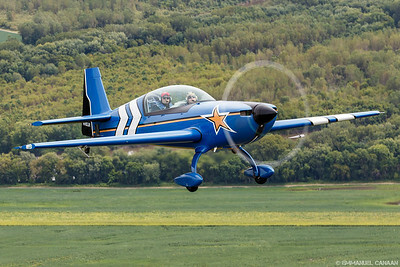 Many call this aerobatic aircraft the Extra 300, but when Sean D, Tucker is flying, it turns into the smile machine. Sean is seen here making another lucky passenger smile from ear-to-ear over southern Minnesota. 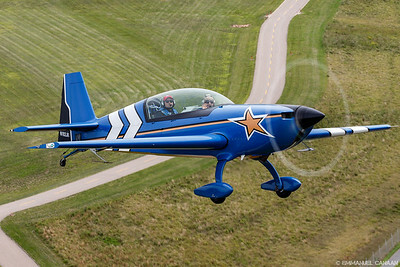 Sean D. Tucker commutes over Minnesota freeways with a lucky rider as they head for a good area to conduct aerobatics. A lucky rider expresses her joy as she cruises over suburban Minnesota with the equally elated Sean D. Tucker. A delighted rider cruises inverted with Sean D. Tucker over the farmlands of southern Minnesota. Sean D. Tucker thrills a rider as they fly in close formation with our photo ship over southern Minnesota. 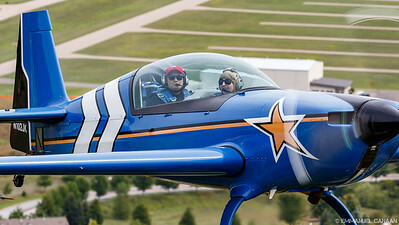 Sean D. Tucker, chairman of the EAA Young Eagles, gives a newly minted Young Eagle his first flight in an aerobatic aircraft as they cruise over Shakopee, Minnesota. The Canterbury Park horse track can be seen in the background. Sean D. Tucker shows an EAA Young Eagle how aviators golf while on a flight over southern Minnesota. Sean D. Tucker and a lucky EAA Young Eagle do a little shopping, aviator-style, over suburban Minnesota. You can almost hear Sean D, Tucker's signature "Yeah Baby!" phrase if you look closely at his expression as he gives an EAA Young Eagle a ride over Minnesota. Sean D. Tucker gives a NASA fan and EAA Young Eagle his first taste of the magic of flight as they cruise over Minnesota. Sean D. Tucker, EAA Young Eagle chairman and aerobatic pilot extraordinaire, treats an EAA Young Eagle to a magical flight over Minnesota. Sean D. Tucker, EAA Young Eagle chairman and aerobatic pilot extraordinaire, cruises low over suburban Minnesota with an EAA Young Eagle. 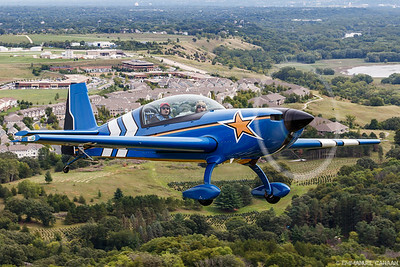 Sean D. Tucker, EAA Young Eagle chairman and aerobatic pilot extraordinaire, does some aerial golfing over suburban Minnesota with an EAA Young Eagle. 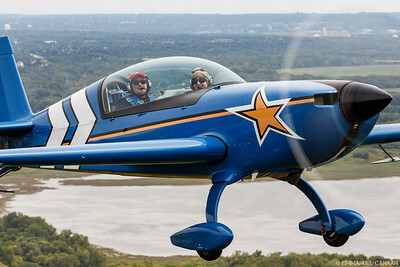 Sean D. Tucker, EAA Young Eagle chairman and aerobatic pilot extraordinaire, takes an EAA Young Eagle on a tour of Minnesota's beautiful countryside. 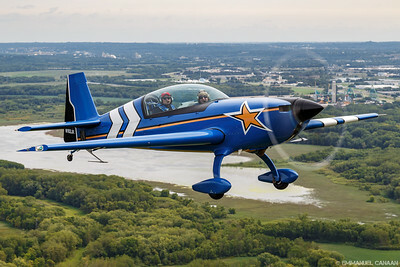 Sean D. Tucker, EAA Young Eagle chairman and aerobatic pilot extraordinaire, flies in tight formation with our photo ship during an air-to-air shoot with an EAA Young Eagle over suburban Minnesota. Sean D. Tucker, EAA Young Eagle chairman and aerobatic pilot extraordinaire, takes an EAA Young Eagle on a smokin' fun flight over southern Minnesota. Dr. Robin Crandall (left), walks with Curt and Mary Brown after a long day of flying in conjunction with Team Oracle and Thomson Reuters. Robin is the owner of the Reno air racer "Sawbones". Curt Brown is an accomplished Space Shuttle astronaut and the pilot of Sawbones. 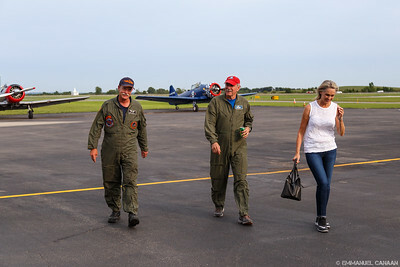 Both brought dreams to life for Thomson Reuters employees with their T-6 Texan "Pilot Maker" aircraft for the Thomson Reuters Flight Day event in Eden Prairie, Minnesota.